“Strange Magic” is a music-filled fairy tale about finding true love in the unlikeliest of places. This magical adventure features a host of colorful characters including a princess who has sworn off love, a dubious villain, a slightly nutty Sugar Plum Fairy, a tenacious elf, a mischievous imp, and a knight who is no Prince Charming. Bring home the enchanting tale the whole family can enjoy today! 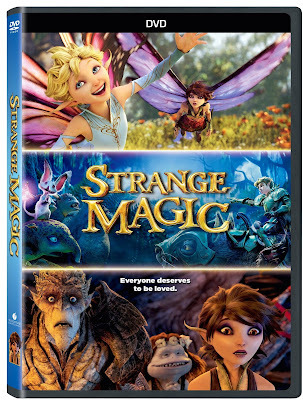 If you're looking for a new movie to watch for the whole family on movie night then Strange Magic is the movie for you. The family and I recently sat down to watch this beautiful movie and we absolutely loved it. From memorable characters to the catchy songs this movie is a must watch for the entire family. Strange Magic is not your average love story. It's about finding love when you least expect it and opposites coming together. This was such a great movie to watch and had humor for both kids and adults to stay entertained throughout the entire movie. Strange Magic is now out and available for you to own. 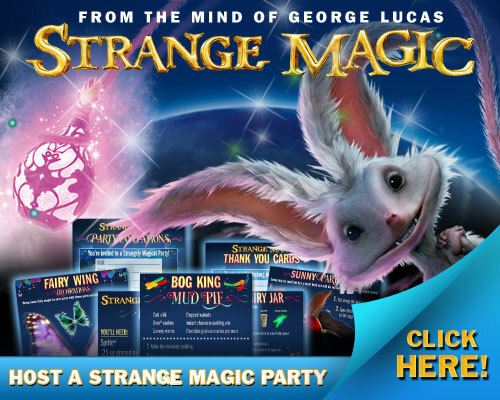 Want to host a great movie night, click on the image below for a free party kit filled with kid friendly DIY crafts, recipes and much more to make watching Strange Magic even better. Disclosure: All opinions are my own. I received Strange Magic on DVD at no cost for the purpose of this review. No other compensation was received.